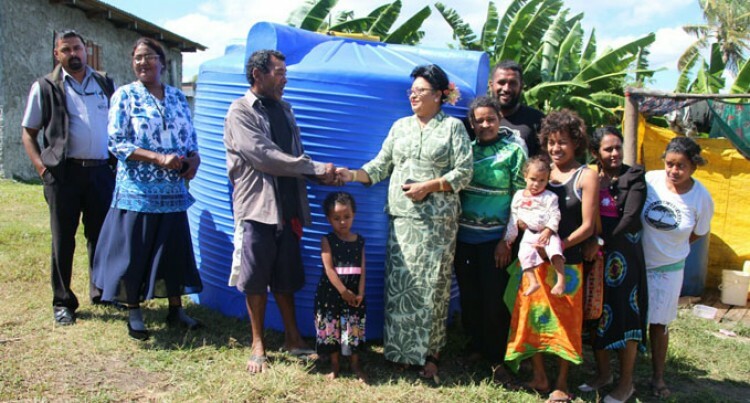 Assistant Minister for Women, Children and Poverty Alleviation Veena Bhatnagar while donating a water tank to a Lautoka family reminded them that Government assists those that needed assistance. “Government assists those that need it, but the onus is on you to make an effort to help yourselves as well,” Ms Bhatnagar told Mataiasi Navusolo at Saweni Lautoka yesterday. The Assistant Minister during a follow-up visit and through the assistance of The Church of Jesus Christ of Latter-day Saints donated a 5000 litre water tank to Mr Navusolo and his family. “We are very thankful for the provision of the water tank for my family as it has relieved a huge burden that we’ve faced throughout the year,” Mr Navusolo said .